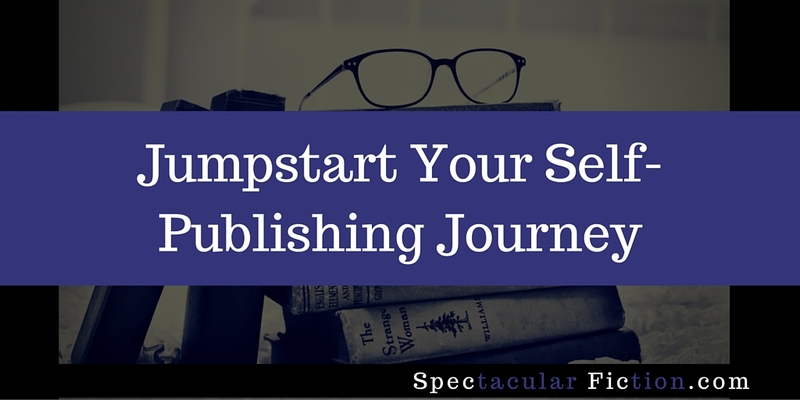 Jumpstart Your Self-Publishing Journey - Spectacular Fiction! Are you an author who dreams of sharing your work with the world? These books helped me turn my writing dreams into reality. After years of dreaming of becoming an author, I decided to take the plunge into self-publishing in 2015. What a journey it has been! Over the course of my journey I have discovered a ton of almost overwhelming information about the subject. While each author’s journey is different and most advice won’t suit all writers, these books have helped me form the basis for the beginning of my self-publishing career. Recommended for: Brief overview of the self-publishing process. Self-Publishing Boot Camp is an essential piece of reading for any author who wishes to self-publish. This is the kind of book that you’ll want to read with a pen and paper handy – you’ll probably want to take notes on as many of the tips as you can. King covers the full gamut of the process of self-publishing and provides concrete advice and resources for every step. Read more of my review. Recommended for: a thorough explanation of what goes into the self-publishing process. How to Sell Your Books by the Truckload is a quick read with practical advice that can help you improve your book’s sales on Amazon. Instead of figuring out self-publishing all on your own, Sansevieri’s guide provides tips you can incorporate into your book marketing plan that could help improve your book’s presence on Amazon. Recommended for: advice specific to selling your book on the Kindle store. Unlike the rest of the books on this list, I read this one over a year after self-publishing my first story. Write. Publish. Repeat details the strategies used by the authors to publish plenty of profitable books, build a fanbase, and create their own publishing team. The piece of advice I found especially helpful was the way that the authors divided advice into “strategies” vs. “tactics”: roughly long-term methods and specific actions you can use to implement them respectively. In some ways I wish I had found this book sooner, although in the end I am glad that I waited until I was further along in the self-publishing process, which added context to the advice in this guide. If you’re suffering from information overwhelm, I would recommend Write. Publish, Repeat. Recommended for: writers who are in the midst of their self-publishing journey. That’s all for now. Since I’m at the relative beginning of what I hope to make into a long and fruitful career in storytelling, I have no doubt that I’ll stumble upon more books in my search that will help me take my journey to the next level. When that time comes, you can be certain that I’ll share what I’ve discovered in another post. What resources have helped you through your self-publishing journey?